I never thought that I would see the day that I would be defending GOP Presidential Candidate Michele Bachmann. The above photo is on the cover of the latest issue of Newsweek magazine. To be blunt, she looks manic and a tad deranged. There really is no excuse for this photo by Newsweek. I doubt that this is best picture they had of Bachmann, though past photos of her haven’t exactly been the most flattering­. Maybe Newsweek wanted a photo that made Bachmann look somewhat mentally off-kilter to tie in with their “Queen of Rage’ headline. What might be even scarier is that Bachmann may have had final photo approval and thought this was the best photo of the bunch. Not exactly a shining example of a basic judgement call. Bachmann’s politics, rhetoric and behavior are considered extreme by many, including myself. Furthermor­e, I do not believe that she has the intellectu­al stamina and/or temperamen­t to be the President of the United States. 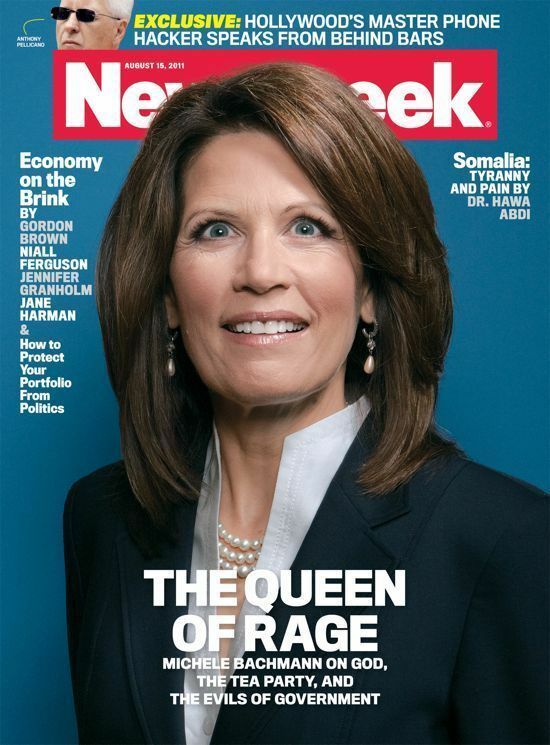 All that being said, isn’t up to the public to decide whether her candidacy should be taken seriously, not for Newsweek to infer something about Bachmann via a crazy-look­ing photograph­? You might recall during the 2008 presidenti­al campaign Newsweek got in hot water over a cover photo pic of then GOP VP candidate Sarah Palin in running shorts. They don’t seem to have the greatest mag cover track record with showing female GOPers in the best light. With all the brouhaha surrounding the Bachmann photo I can’t help but smell a whiff of manufactur­ed PR by Newsweek who isn’t exactly high-up on the news media radar. Hey Newsweek – if you don’t like a candidate or a candidate’s politics then say so. There is no need to place inappropri­ate and/or unflatteri­ng photos about certain candidates as some sort of subliminal/editorial message. The defense of Michele Bachmann by a Democrat (albeit a semi-crank­y one) rests. When I was a teen, I read the classic children’s book ‘Sarah Plain and Tall,’ which is about a woman who dresses plainly but is ‘tall’ of character. This book popped into my head when I heard about Sarah Palin’s upcoming ‘One Nation‘ tour. This Palin is definitely not plain. As for her character, it depends on whom you’re asking at the time. If you haven’t heard already, Palin plans to visit historical sites along the East Coast (starting Memorial weekend) in which she’ll “share the importance of America’s foundation.” Not exactly sure what she plans to accomplish since details are still sketchy. One can’t help but think that this move–amongst others she has made recently–is in preparation for her run for the 2012 Republican presidential nomination. Palin has been quiet these past few months as her popularity and poll numbers have dropped since the Tucson/Giffords shooting. The GOP weren’t exactly enamored about her possible presidential candidacy, especially when they had other more viable potential candidates in the wings such as Mike Huckabee, Haley Barbour, Mitch Daniels, Tim Pawlenty, Newt Gingrich and Mitt Romney. Romney, Pawlenty and Gingrich are the only bigwigs left and yet the GOP still look like they’re waiting for someone else, someone better. I doubt that person is Palin, but maybe she feels that she is the one person to pull the party together. Palin could have been the lead GOP 2012 candidate if she had played her cards right after the 2008 election. She knew as the GOP’s then vice-presidential candidate that the general public thought (and some still think) that she is all flash, no substance. Her intelligence and interest in governing has been constantly questioned. After November 2008 she could have taken stock of her situation and decided to beef up her credentials. She could have sat down and familiarized herself with the print and digital media. She could have hit the books to get a stronger understanding of the U.S. economy, how government works and our nation’s history. Palin could have reached out to experts, journalists, politicians and academics to find out what they think about foreign affairs, the national debt, health care, social reform or the U.S. military presence overseas. She could have written op-ed pieces, co-written reports, posted blogs, showed up on the Sunday talk shows, or participated in panel discussions at think tanks or universities. She could have done town halls or Facebook discussions where the public could ask her questions about the state of America. Palin did none of those things. What has she done these past 2+ years? She gave a Thanksgiving interview in which a turkey was being slaughtered in the background. She resigned from the governorship of the state of Alaska with 18 months left in her first term. She did a reality show based on her life in Alaska. She became a sometime pundit on Fox News. She wrote Going Rogue which read more like a conversation than a book explaining her political purpose in life. She decried that Obama’s healthcare program would institute bureaucratic death panels which would decide who are worthy to receive healthcare or pass on to the hereafter. She made limited speeches in front of corporate executives and advocacy groups in which she charged five and six figure fees. She wrote notes in black ink on her hand to help her remember talking points during speeches. She joined the social media sphere via Twitter and Facebook which allowed the public immediate access to her word choice skills (remember ‘refudiate?‘) that was cause for ridicule. She showed tone-deafness when she turned the Tucson shooting into a complaint about people targeting her. These are not the things you do when you want to be taken seriously as a possible presidential candidate. Some people despise Sarah Palin and/or think she is an idiot. I think she is a serious lightweight who loves the media/public attention and the idea of being president, not the actual work that comes with being President of the United States. She doesn’t have the mental stamina or fortitude to handle the job, though she probably doesn’t think she needs it. Palin seems to be a firm believer of guts over intelligence. That’s great if you’re picking who is going to win the Super Bowl, not so great when you have to decide whether to send Navy Seals into Pakistan to kill an international terrorist. There is a difference, though she probably wouldn’t see it. Palin wasted an opportunity to be viewed as a thoughtful, smart and genuine candidate, even if you disagreed with her politics. Unfortunately for her, our image of her as a semi-dim cheerleader has not changed. She loves to blame others for how she is viewed and/or portrayed. Palin has yet to realize or accept that she has no one to blame but herself. 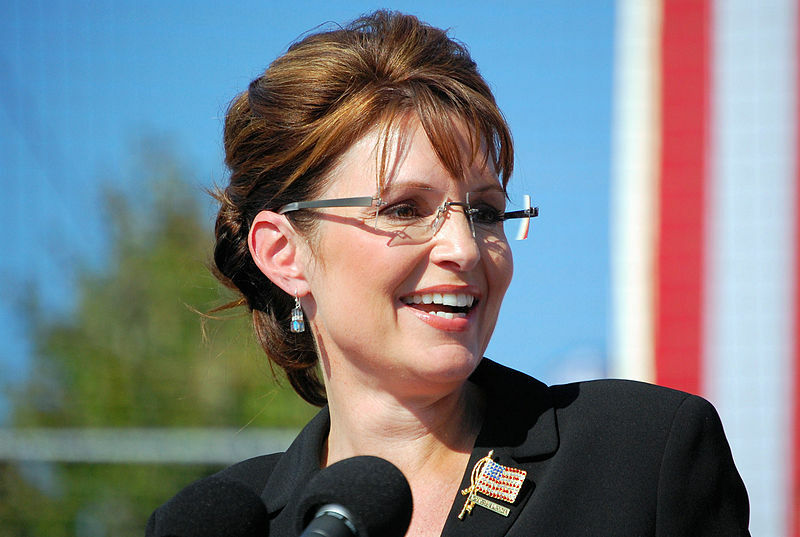 Note: Sarah Palin decided not to run as a potential GOP presidential candidate for the 2012 U.S. presidential election. Mitt Romney ended up becoming the GOP’s nominee. Romney lost the presidential election to to incumbent President Barack Obama. On May 21st Former Godfather’s Pizza CEO Herman Cain announced that he will run for U.S. president in 2012 at Centennial Olympic Park in Atlanta. The fact that he reminds me of Clarence Thomas is enough to give me serious pause about his candidacy. 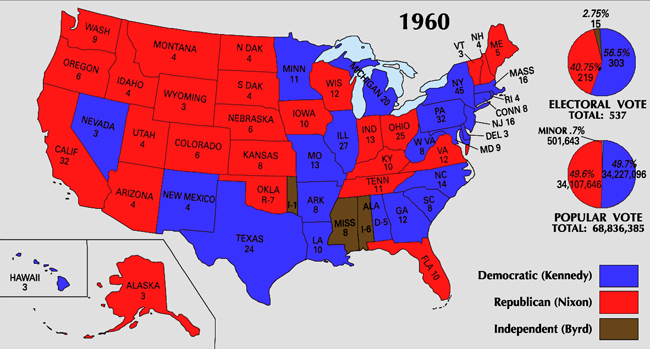 However, Cain thinks he has shot at the GOP nomination though it’s slim-to-none even with Mike Huckabee and now Gov. Mitch Daniels bowing out. However, the main reason I don’t buy what Mr. Cain is selling is because he’s short on ideas and solutions about how to solve America’s problems. Yet he’s telling us that it’s time to “get real” concerning America’s problems. A lot of us having been living in the real world for quite some time when it comes to the economy, personal debt, unemployment, devalued homes, rising education costs, expensive healthcare­, etc. What Cain has told us is nothing new, yet he acts like he’s telling us information we haven’t heard before. Unfortunat­ely it’s some of our politician­s–Republicans and Democrats–who have been living in fantasy land, especially in-between elections. But when it’s campaign time then they tell us ‘we’ need to wake up and face reality. ‘We’ are already there, Mr. Cain so why don’t you and the rest of your ilk stop insulting our intelligen­ce and give us some ‘real’ answers.